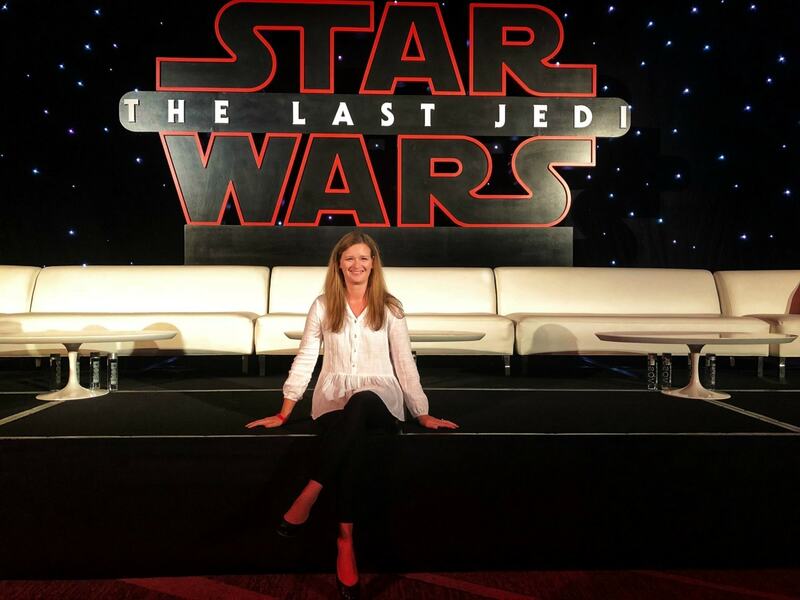 I had the chance to experience the STAR WARS: The Last Jedi Press Event while on a sponsored trip for #TheLastJediEvent on the behalf of Disney. While this post is partnered, all opinions are mine. Contains affiliate links. I had been preparing for this moment the minute I hear I was going to LA for the Star Wars press event. I was in a room with the cast of The Last Jedi. Not only was I in the room, I had an amazing seat and was even captured in a couple of press photos! The experience is nothing that I can adequately express, but I am going to attempt it over the next couple of weeks leading up to the release of STAR WARS: The Last Jedi in theaters December 15th. 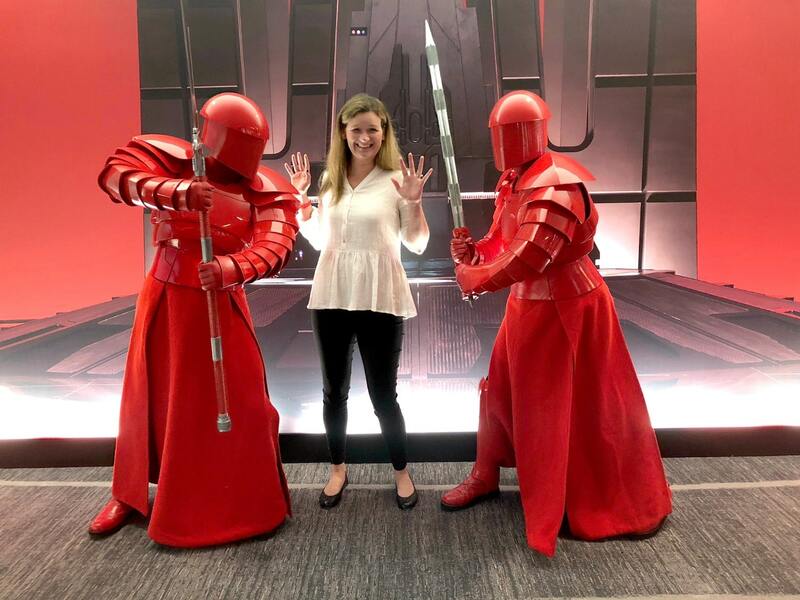 Today I am going to talk about everything I was able to experience after the interviews at The Last Jedi Press Event. 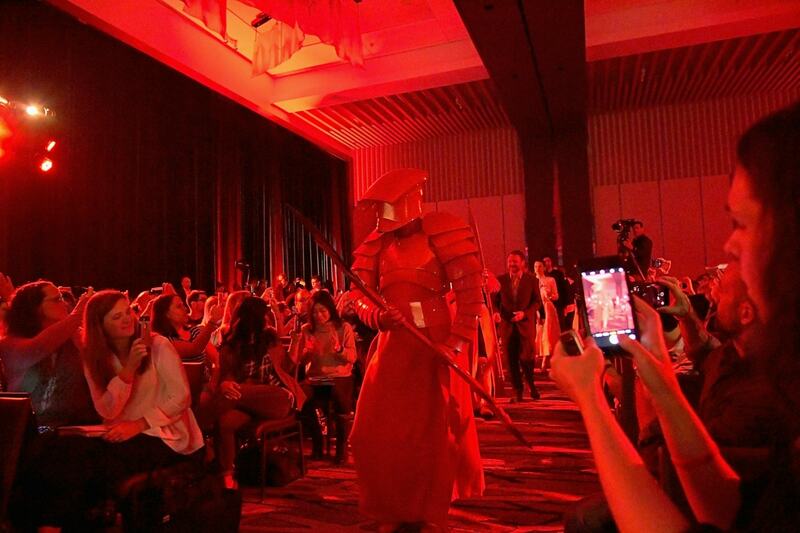 There was some fun photo ops, character meet ups, t-shirt making and more! Seeing the costumes up close was breathtaking. All the details that go into these outfits were apparent. Leia’s jewellery is a showstopper. Having these all available to view was a real treat! 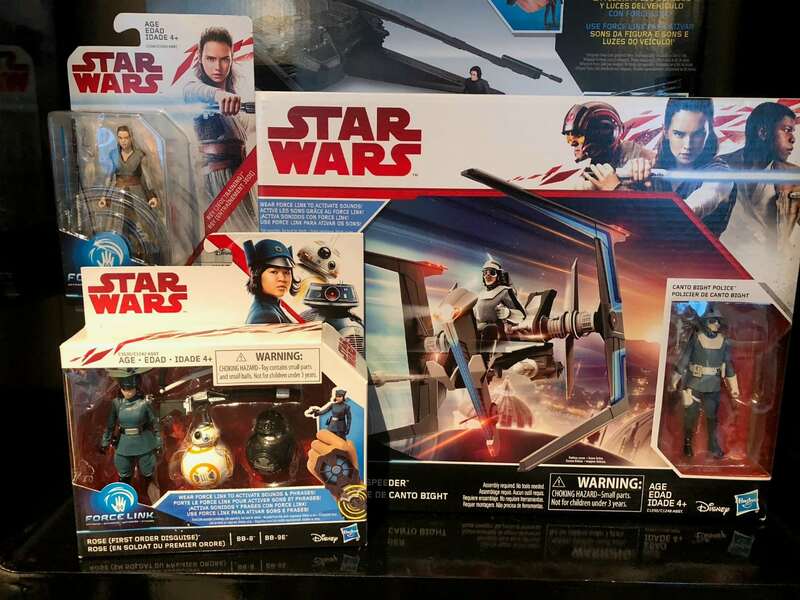 My son is probably more excited about the new toys that have/are coming out for the movie than the movie itself. He already has several on his wishlist. 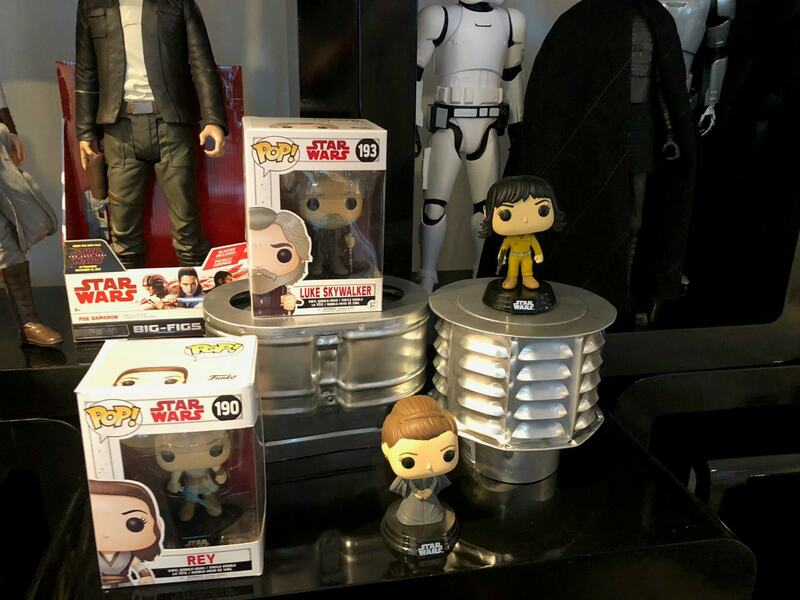 While we were at the junket there was a nice display of products including Pop figures, playsets, clothing, housewares, and games. 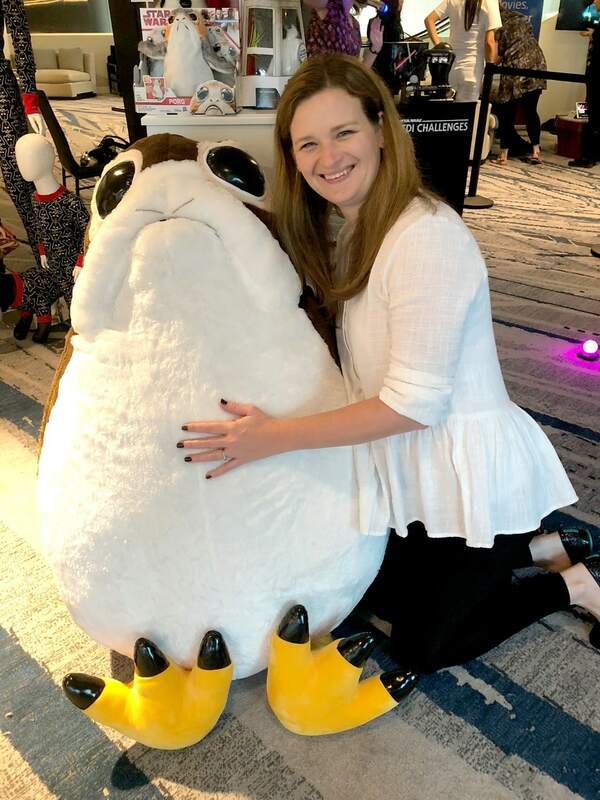 There was even a giant Porg that would have come home with me if I didn’t have to buy him his own seat on the plane! 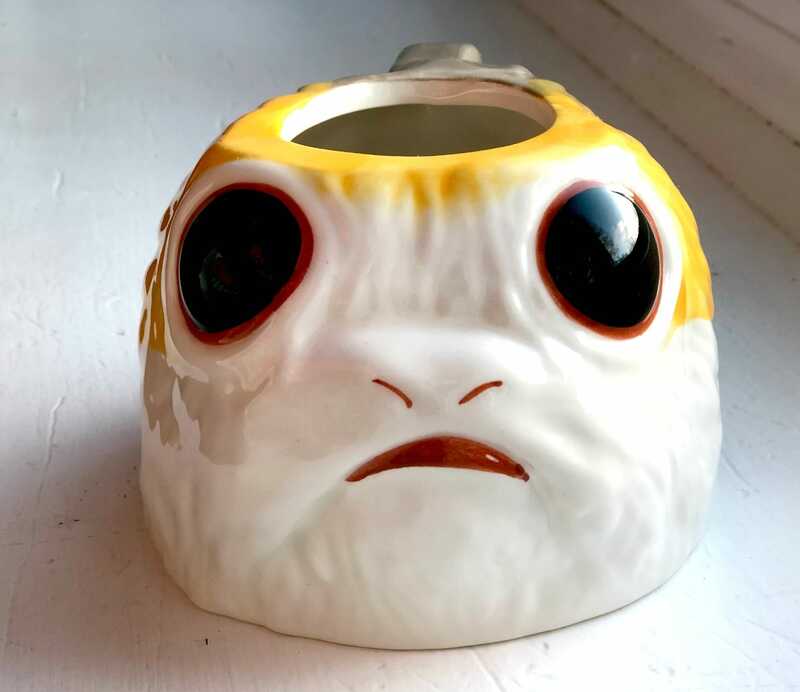 I had to settle for this very cool Porg Mug that I am in love with! These products are going to be huge this holiday season so be sure to scope them out NOW! 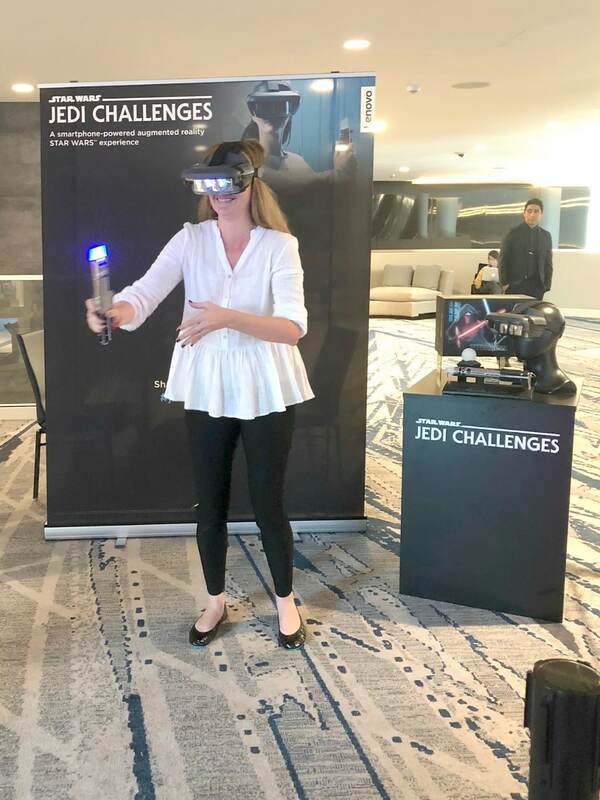 I’m not really one to play video games, but of course, I had to try out the new Jedi Challenges virtual reality experience. I fought Darth Maul and I somehow managed to beat him! It was so much fun and would make a great gift for the tech lover in your home! It is available now at Best Buy! 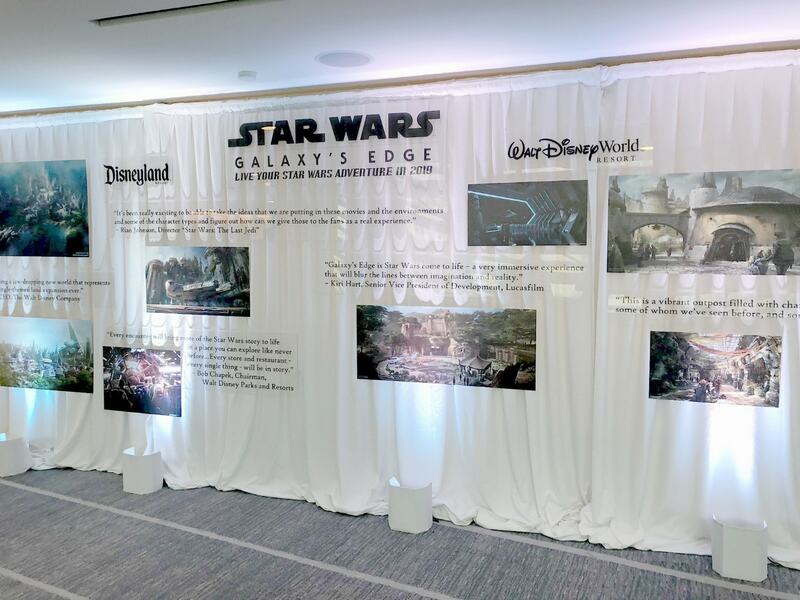 Set up next to the Jedi Challenges was the Movies Anywhere Lounge where we learn about how Disney Movies Anywhere has merged with the other major film studios to become Movies Anywhere. Be sure to check out the new app and download it in time for your holiday travel because you don’t need wifi to watch your shows!!! 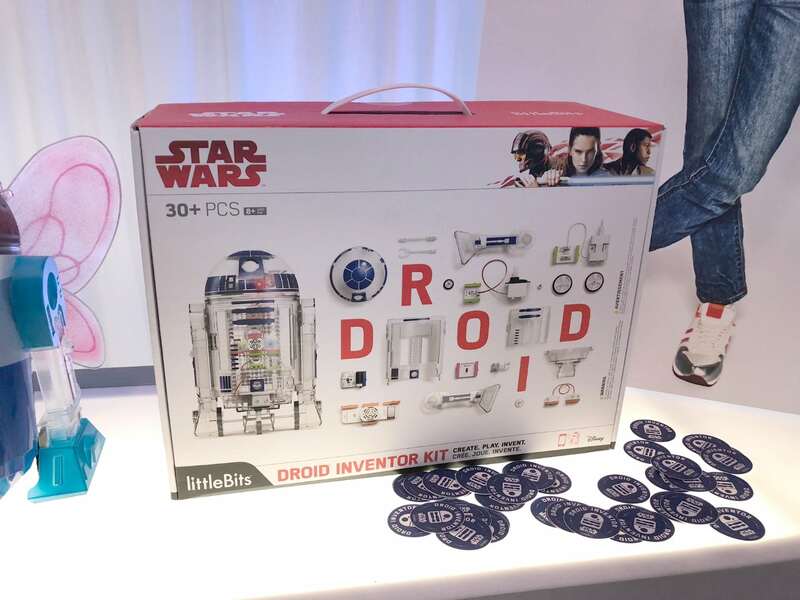 Have you seen all the buzz over the littleBits Droid Inventor Kits ? If you have a creative kid at home these kits are perfect! 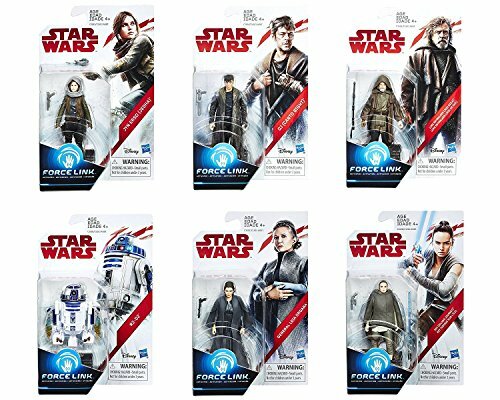 Each kit allows you to build a custom R2-D2 droid however you would like. 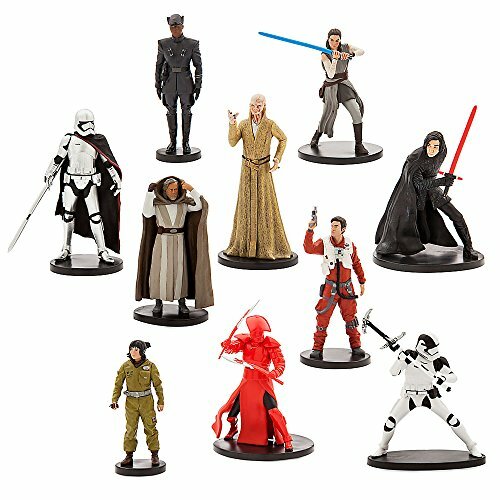 We saw some glittery ones and some that look like they are a part of the dark side! 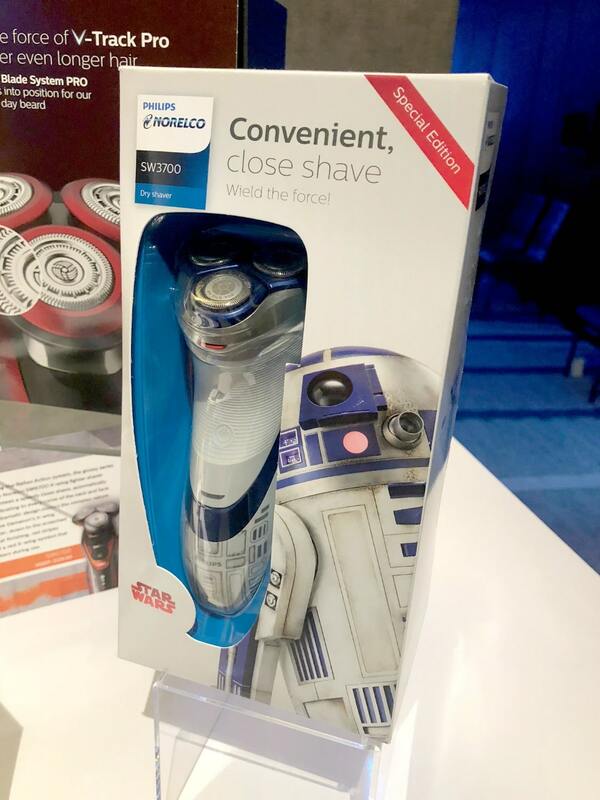 I know what I am getting my husband for Christmas, this Phillips R2D2 shaver! He is going to love it. 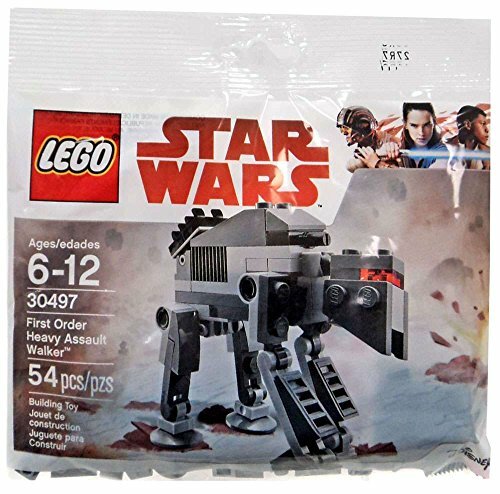 They had several different Star Wars themed models to watch out for! Are you excited about the two new Star Wars lands coming to Disneyland and Walt Disney World in 2019? We saw some pretty excited sketches depicting what the worlds are going to look like. I really can’t wait for my family to be able to experience Star Wars in a whole new way! 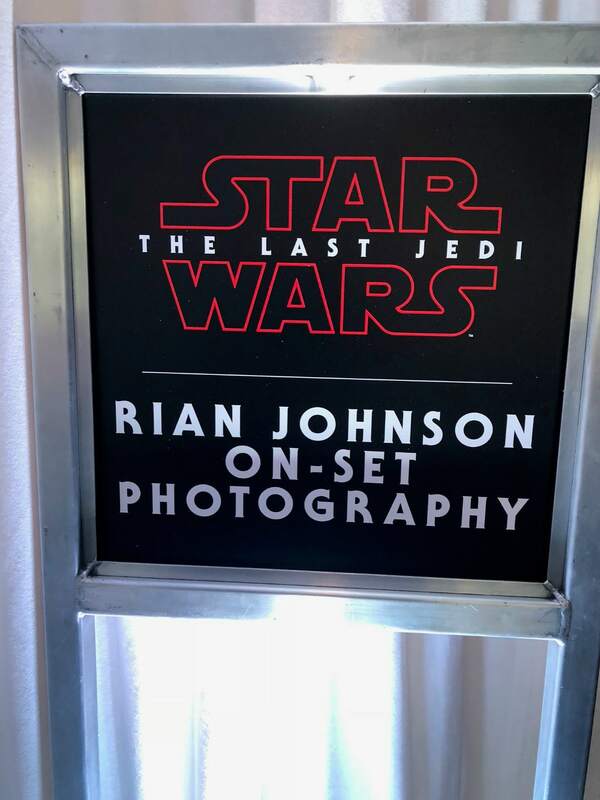 Director Rian Johnson had a collection of photographs that he took on the set of the new film. 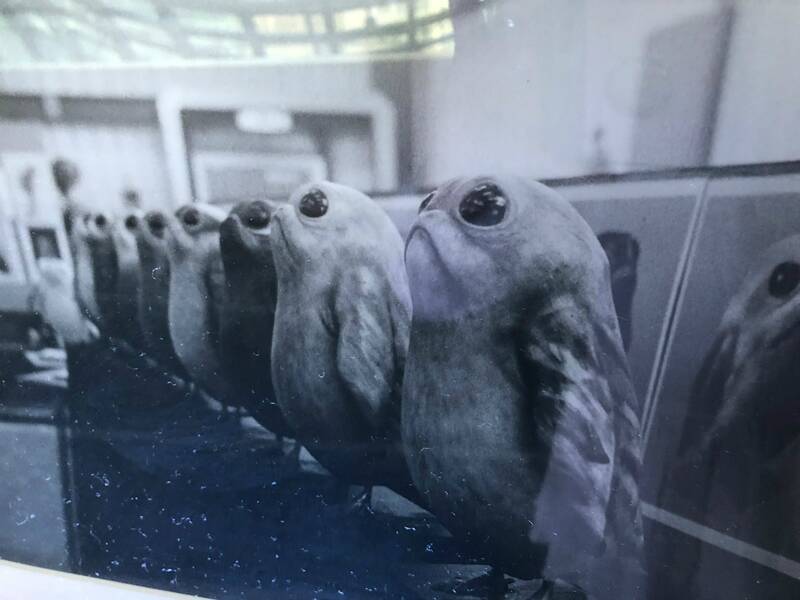 I loved this one of a murder of Porgs (yes, a group of Porgs is called a murder). Each person at the press event was able to choose a t-shirt and design. We had several characters to choose from and you might be surprised who I ended up choosing. 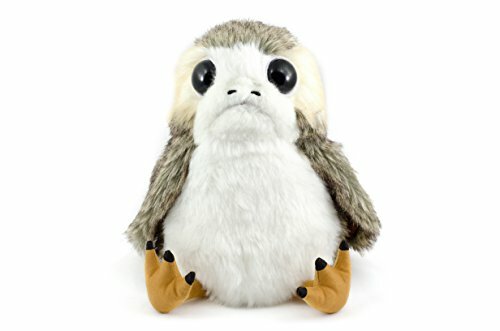 I can’t believe I didn’t go with the Porg! After trying Ample Hills Ice Cream (Star Wars flavors of course) we went and had some fun photo opportunities. Don’t worry, no one was harmed in the taking of this photo! 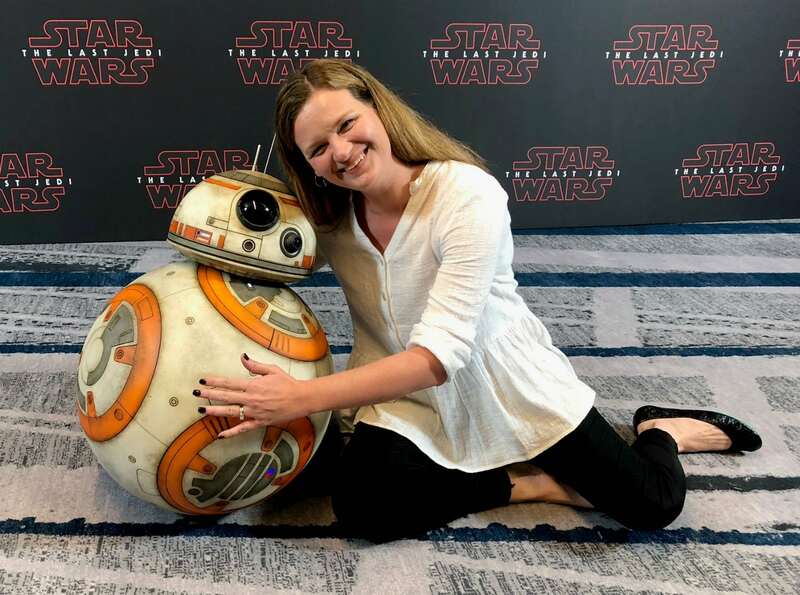 I LOVE BB-8. He is my favorite droid in the entire Star Wars universe thus far. If you follow me on Facebook you probably saw that he gave a little shout out to my kids! There is a new droid in town and he is of the dark persuasion! 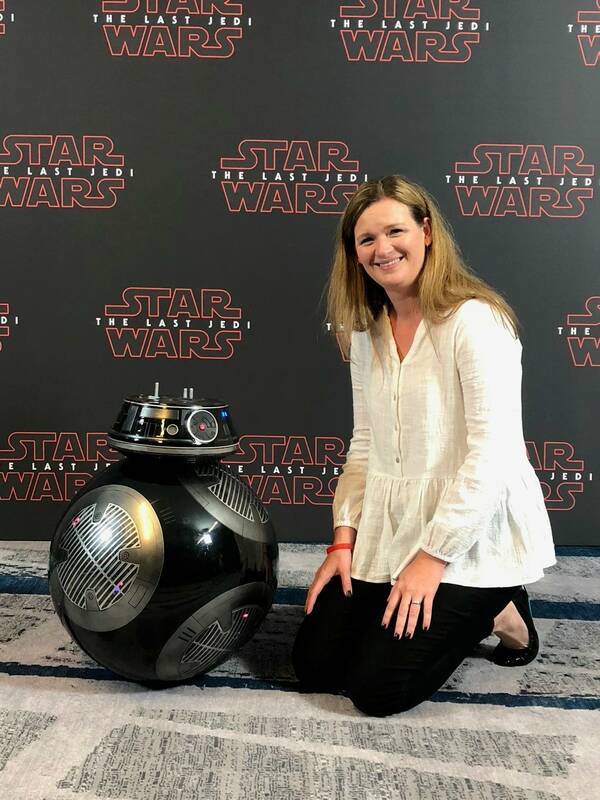 I had some fun with BB-9E! Be sure to come back next week when I share the interviews from the global press event including our interviews with Laura Dern (“Vice Admiral Amilyn Holdo”), Gwendoline Christie (“Captain Phasma”), Domhnall Gleeson (“General Hux”) and Kelly Marie Tran (“Rose Tico”). 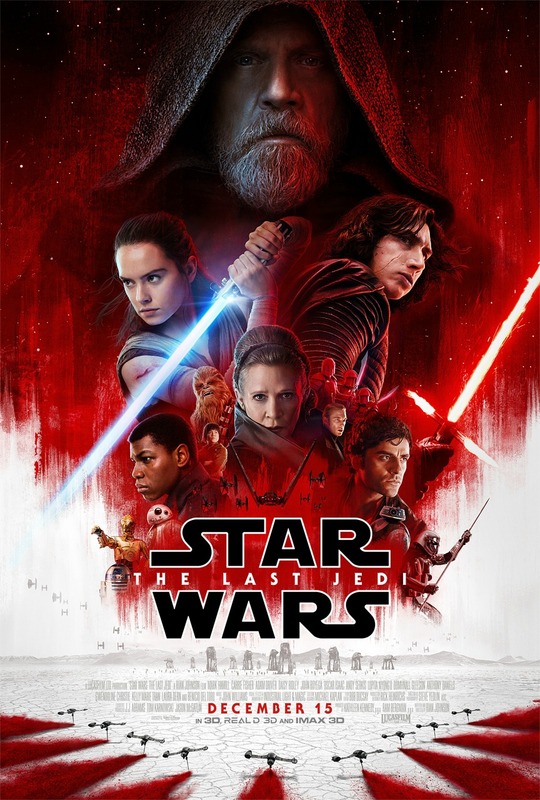 Make plans now to see STAR WARS: THE LAST JEDI in theaters December 15th!